One of the things I really hate about my bedroom is the texture on my walls because it doesn’t play well with posters. I suppose if I hit the lotto, I could have all of my posters framed and hung on the walls but that is too expensive so I just have a bunch of tubes of posters sitting around. I tried hanging posters when I was a kid with some of that silly putty type stuff but it didn’t really like to stick very well and it would leave grease spots on my posters after a while. 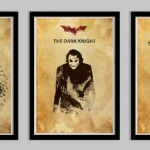 Well, for the Star Wars fans that like to hang posters, I have found some posters you will love! 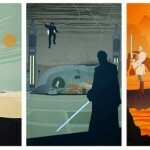 Etsy seller LynxCollection is selling this limited edition set of Star Wars posters inspired by the original trilogy for just $49.95. 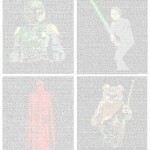 These amazing Star Wars prints measure 11″ x 17″ and only 750 of them have been made. The artwork on the posters was created by Drew Roberts and I would say Drew did an amazing job! 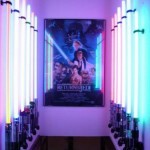 I wish I had the walls to hang these amazing Star Wars posts as I love the original trilogy but that is one remodeling job I don’t want to mess with. I also kind of spent most of my money on all of the amazing deals I have found since Thanksgiving. However, if you love Star Wars, have the right walls and some money, I suggest you go buy a set before they are all gone! These would also make a great gift for any Star Wars fans you know this Christmas.